Milega is the ultimate e-commerce and e-tourism translation agency. Our aim is to meet your translation needs with effective multi-lingual solutions. Over 10 years of experience in translation. Over 200 e-commerce websites translated and just as many satisfied clients. Over 45 languages for professional translation services. Our strength: we combine the perks of traditional translation with state-of-the-art technology to support you in meeting the booming growth of Internet sales. The Pro Certified quality label (based on the European standard EN 15038) is the acknowledgment of our expertise. This label gives our clients the guarantee that all 380 of our translators translate into their native language and hold a degree in translation. 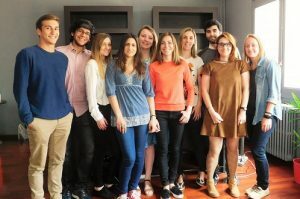 What makes us specialists in e-commerce and e-tourism ? We translate in web formats (XML, HTML, PHP) and deliver files ready for integration. 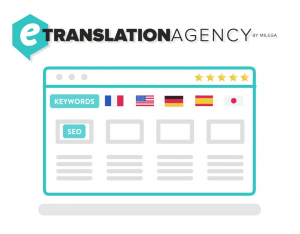 SEO is integrated into our translations. Turnkey website translation: we develop specific API for Magento and Prestashop. We can build teams of more than 10 translators per language to handle emergencies and substantial loads. We are always available and respond quickly to update your product sheets and implement season-specific adaptations. We offer affordable prices adapted to substantial loads and repetitions: our rates can be as low as €0.05 per word. We have a network of qualified partners in the sector. Milega is the first translation agency that focuses exclusively on e-commerce… in over 45 languages ! We speak your language, and are aware of your technical and financial constraints. We aim to support your international development and improve your conversion rate.